1. The triple constraint is a rule to live by. No, the triple constraint has limitations and it breaks down at certain times. Adding more people can slow a project down because of training and network effects. Cutting scope isn’t linear, it’s binary, at some point scope is cut so much that the project can never succeed. 2. A delayed project is a bad project. It’s critical not the miss the bigger picture, admittedly harder to measure than cost and budget but just as important, Wembley Stadium, The Scottish Parliament and Sydney Opera House were all late and over budget, but architecturally valuable. Most unimaginative structures get completed on time, but are they really more successful? Of course, the gold standard is a project such as the Guggenheim Bilbao that came in on time and received architectural awards. 3. For good estimates you need experts. No, reference class forecasting is the answer. Using historical data is much better than using experts. Of course, if historical data isn’t available, then using experts can be a second best approach. I’ve previously argued that the triple constraint is more a myth than a useful project management tool. Roger Atkinson’s academic paper takes a different approach, the argument is the triple constraint (referred to in the paper as the Iron Triangle) is only a subset of project management criteria, and a better approach is to combine 3 additional sets of metrics to capture project management success holistically, one of the metrics Atkinson proposes is IT specific, but the others capture stakeholder benefits and organizational benefits. It makes sense, time and budget can be the easiest things to measure but aren’t necessarily the most important. See the full article here. Interview with Fred Brooks author of the Mythical Man Month in Wired written by Kevin Kelly can be found here. As Stephen Dubner points out in his Freakonomics blog, Fred makes the interesting point that the scarce resource on a project isn’t always money, time or people. For example, when building an oceanfront property the constraint is beachfront square footage, on the first NASA moon landing, the constraint was lightness. Therefore determining what your true contrainst is can help you stay focused on non-traditional projects. Fred also subscribes to the principle, from Edwin Land, of starting with the vision and working back from that to a technically feasible design rather than aggregating a set of attainable features together to create whatever vision results, which might be easier but has less impact. He argues working back from an ambitious vision is the model that Apple follows to achieve visionary design. He also mentions that he’s changed his thinking from doing a first design and then throwing it away and building a second version, towards a process of ongoing iteration. The Wired article can be read online here. At its heart, successful project management requires softer skills such as communication and persuasion. 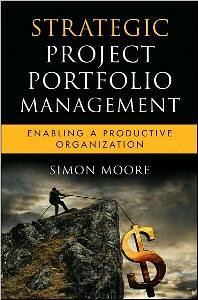 This why the few more mathematical elements that do exist within project management receive such attention, from estimation techniques to Gantt charting and the triple constraint. However, unfortunately the triple constraint is more of an optical illusion than an effective representation of the project management trade-offs. Let’s start with cost. The triple constraint is inconsistent with Frederick Brooks’ insights. If you add money to a project, you are more likely than not going to have to add people. Those people will need training and expand the communication nexus across the project team exponentially. This additional training and communication will slow things down, at least in the short term.This is the opposite of what the triangle supposes. So you cannot seamlessly flex the budget to ensure you hit your project goals. Next scope, the problem here is representing scope as a continuum, where you can chip away or incrementally add work items to the project to flex schedule and cost to the right values. This approach works until it doesn’t. Project success is often binary rather than a continuum. The iPhone 4’s reception problems or the Deepwater Horizon rig show that only up to a point can scope scale up and down before the project hits major risks. In fact, the baggage system at Denver Airport shows that the scope of some projects are infeasible regardless of cost or time. 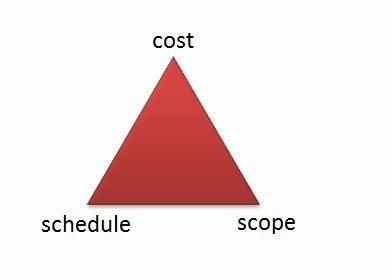 That leaves schedule as the one corner of the project triangle that can legitimately flex, perhaps this accounts for why most projects finish late. The other corners of the triangle aren’t as malleable as they seem. Nothing in life is free. Sadly, the same is true of projects. If you want to finish sooner, something has to give, whether reducing the amount of work (scope) or increasing the amount of resources (people and/or money). If you cut the size of the project team or its budget, either the finish data gets pushed out or the scope of work has to be shrink. Finally, if you want to increase the scope of work, you’ll need either more people/money or more time. So it’s up to you. You can always adjust the deadline, resources or scope one at a time. But whenever you do so, think of the impact on the other two aspects. Interestingly, many executives don’t understand this principle, thinking it’s something sufficient carrots and sticks can overcome, yet it is a mathematical rule. Note – some variants of the triple constraint take it further and include as ‘quality’ as a forth variable. Here I include it as part of scope.